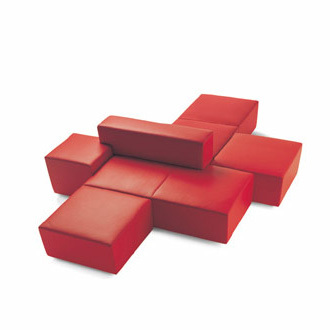 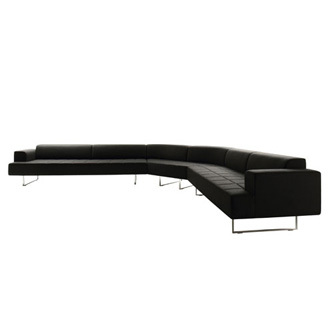 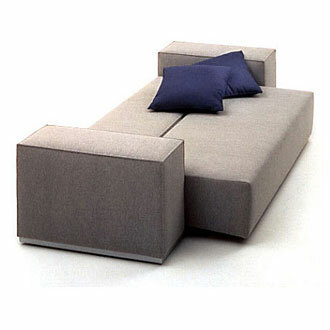 System of seating units composed of an armchair and fixed sofas in two widths. 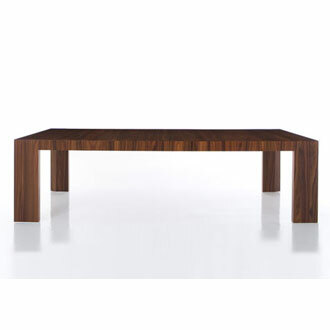 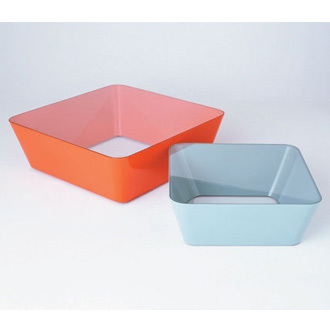 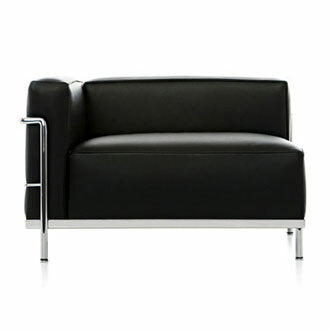 All of the units have a visible base in chromed steel or painted in glossy brown. 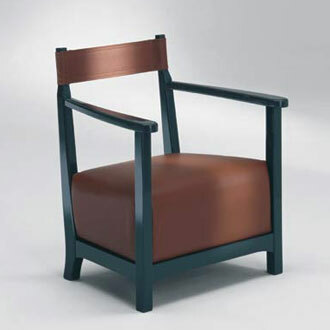 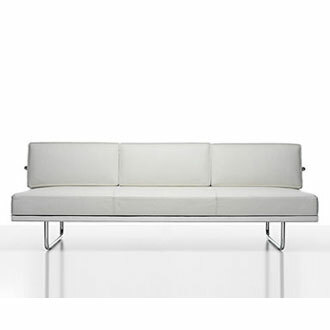 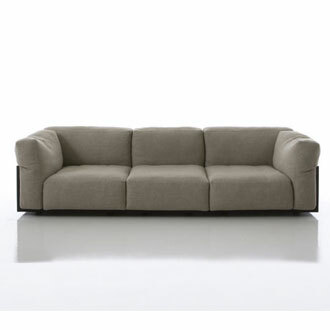 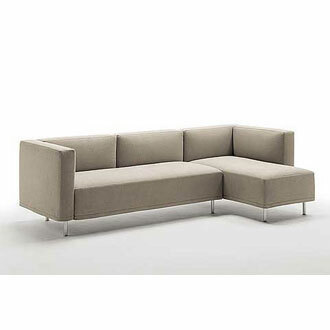 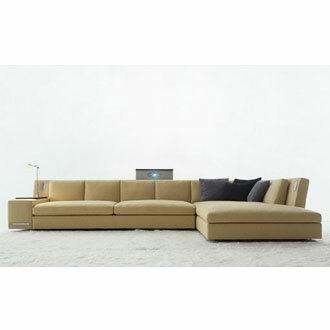 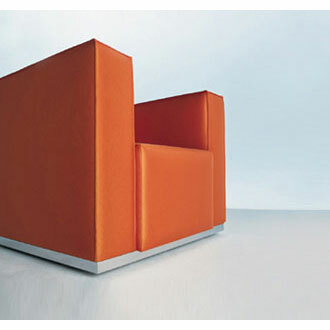 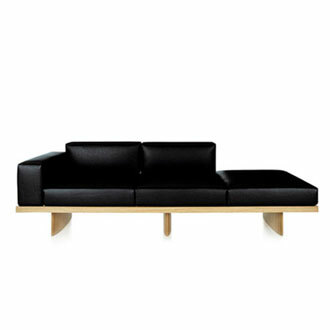 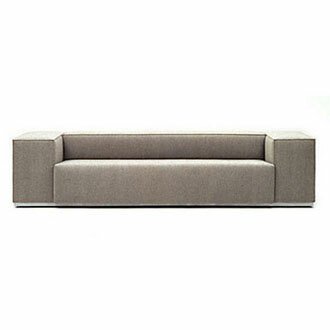 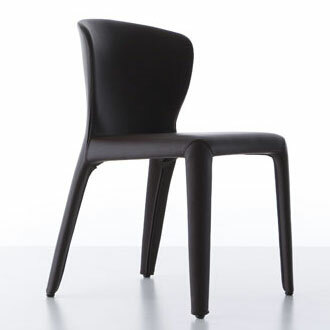 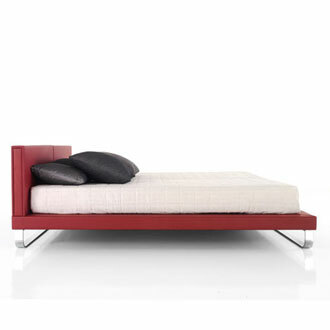 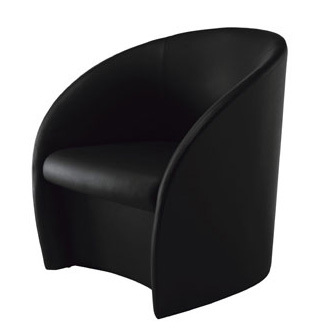 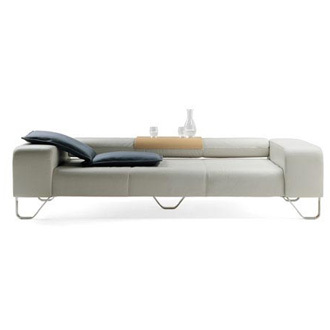 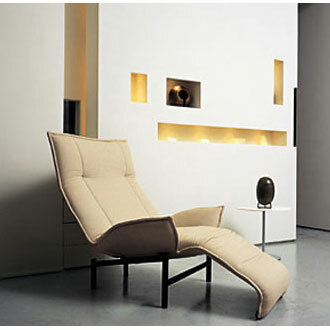 Internal frame in plywood, upholstery in variable density CFC-free polyurethane foam and polyester padding. 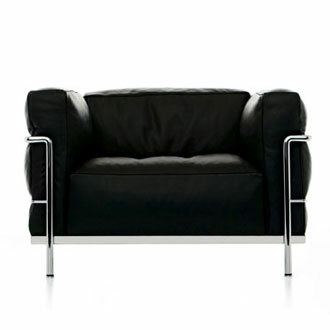 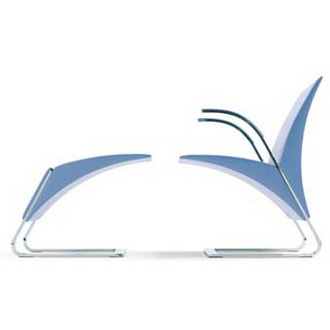 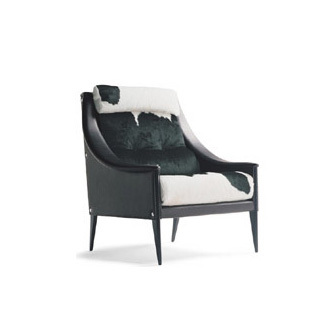 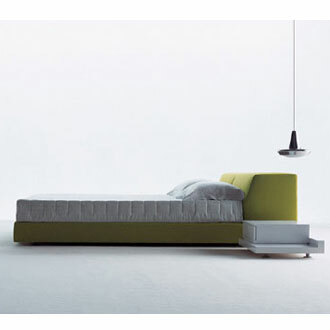 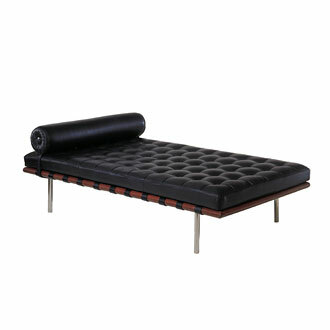 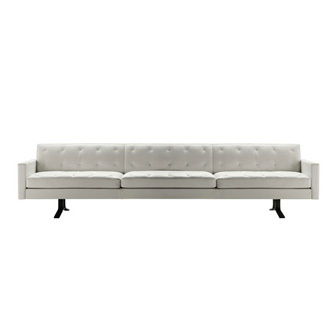 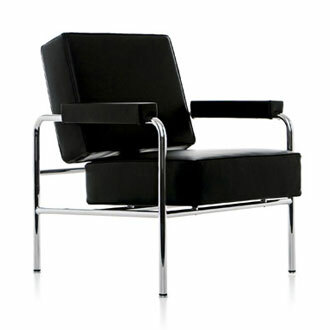 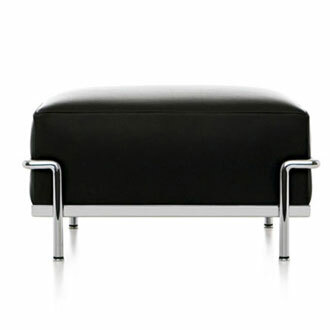 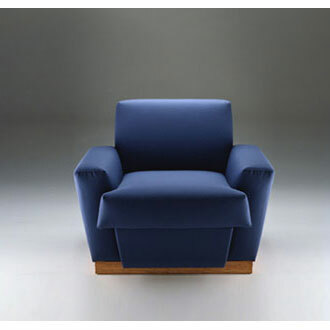 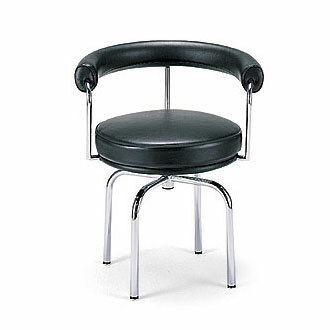 The cover, in fabric or leather, is completely removable (the innovative upholstery system of this model allows for very simple removal and replacement). 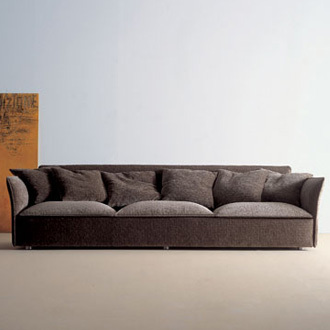 The collection is completed with padded ottomans in two sizes and with low tables in dark stained oak in three sizes.